HDMI, 1080p, 4K, LCD, 5.1 or 7.1, etc. Are these terms you should be familiar with? Not necessarily... but they are still each very important to the setup of today’s entertainment rooms.That’s exactly why we are here to help. 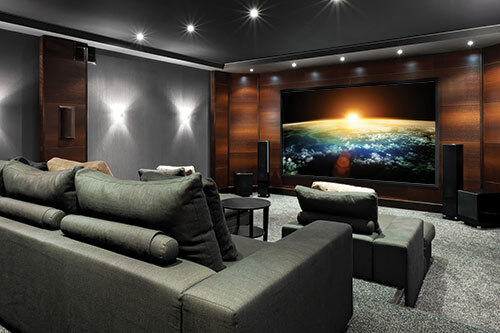 With technicians educated on the very latest in audio and video technology, we are well equipped to meet your Media Room needs.